Home » beats , best , earphones , Headphones , Monster , Philips , Running » Headphones For Running, What To Choose ? Headphones For Running, What To Choose ? Looking for a earphones or a headphones for running ? Want to run with music ? Discover our 6 comparative headphones to know which pair is the best one to accompany you to the gym, on the road, or any place to practice. Whether you are already a jogger, or you're thinking about putting on a pair of running for the first time, have your favorite music in your ears, will keep the motivation and exceed your limits. Of course, you could put your regular headphones supplied with your new smartphone, but we tried for you, and they are not suitable. Why? For tens of obvious reasons, but the main " they are not made to run ". For their part, many manufacturers like Sennheiser, Philips, Monster or Jabra have addressed this specific category of headphones and audio sports helmet, and now offer models suited to sport and more generally to running. 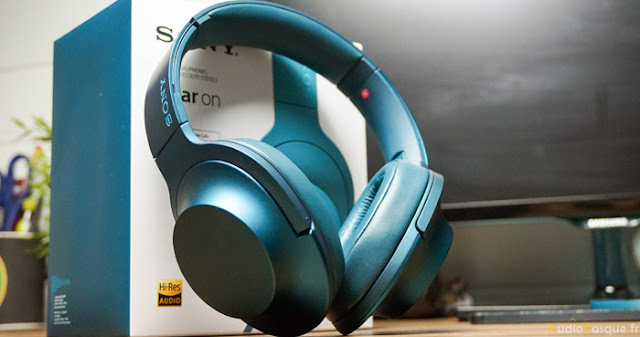 So now let's find out what pair of headphones is the best one for you ! One of the few helmets conceived and designed specifically for workout, the Philips ActionFit SHQ5200 is available for 65 $ at Amazon. Weighing only 100g, this is a particularly lightweight and comfortable to wear thanks to its pads resistant to perspiration and offering a very good performance. In addition, the pads are made ​​of special material to keep them dry in case of heavy perspiration or rain, and the cord is reinforced with Kevlar, with the possibility to shortening them if you equip your player around your arm for example. Regarding the performance in our tests, the helmet sometimes tended to slide at the loop. 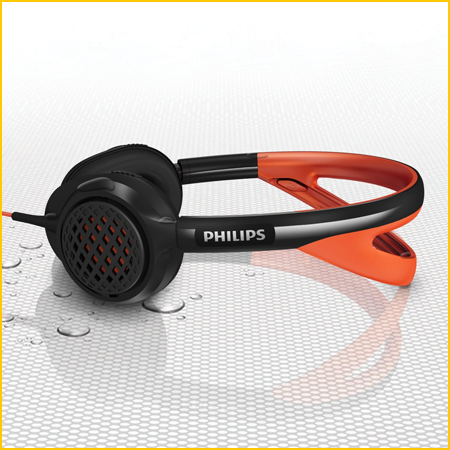 The audio quality precisely that it is not really an appointment with the workout headphones from Philips. The bass is too powerful and offer a voice made ​​quite poor. In conclusion, a product advisor only if you prefer to wear a real helmet rather than a workout headphones. We Like : Lightweight and comfortable, good resistance to sweat, and the cord into 2 parts. We Dislike : The bass, holding sometimes bad. Renowned for offering products with innovative and colorful style, but also for powerful bass Beats by Dre Powerbeats offers with earphones designed for sportsmen and sportswomen. These in-ear headphones slip directly around the ear and offer good performance. In our workout, we still found that they could slip when sweat became too large, so be careful in wet weather. For the sound quality, as usual, Dre headphones offers amazing sound quality, which should appeal to fans of hip-hop, but at least if you listen to a wider variety of music. Feature level, a module can let some ambient sounds to not be completely isolated if you run into town. Finally note that it is possible to make phone calls directly with the PowerBeats. We Like : style and design, easy to access and telephone calls buttons. We Dislike : Too much bass, price. The most expensive headphones in our collection, but also the most powerful one. 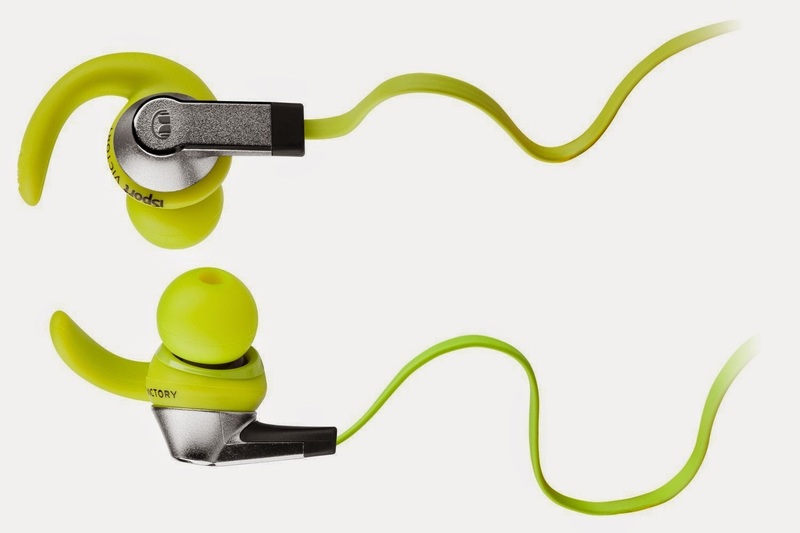 The Monster iSport Victory will cost you 119 $ , but it's worth it. Everything in this model is robust and reliable, using a special design to withstand the efforts provided during workout activities. 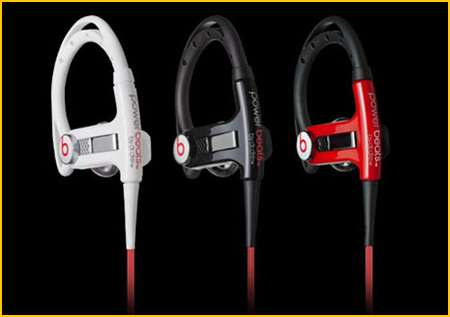 The waterproof headphones are ideal if you want to wash them, to clean the sweat after a session of working out. In terms of audio performance, this is a real success, providing a precise and powerful clear sound. Added to this active noise reduction to isolate noise perfectly during your workouts. If you're leaning to multitasking, the iSport Victory fit very well with your iPhone and allow phone calls very good. We Like : Good performance, waterproof design, insulation and sound quality.